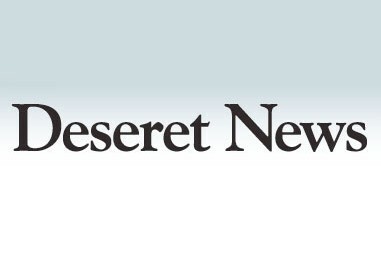 By Jasen Lee of The Deseret News – Ron Fraser considers himself a problem solver. Over his 30-year career, the engineer has taken on many challenges, including developing radar systems and communications systems for intercontinental ballistic missiles. Fraser has also developed specialized radio solutions for companies such as 3M, Porta Phone, Texas Instruments, TRW, the U.S. Naval Research Laboratory, the Titan missile program and several Silicon Valley startups. Today, the BYU graduate and recipient of four U.S. patents is making his mark with a new venture in Utah County. A few years ago, Fraser was asked by Porta Phone to develop a communication system that would allow four football coaches to talk at the same time. At the time, his immediate response was, “It can’t be done.” Two weeks later, he had it figured out. Fraser’s goal was to expand the technical limitations of traditional push-to-talk hand-held mobile radios to facilitate safer and more effective wireless communication. He envisioned improving interaction in various settings, including the military, public safety, coaching staffs in sports, as well as in industrial and manufacturing. Nearly everyone is familiar with the basic workings of a walkie-talkie and how it enables groups of people to communicate with each other at distance, Fraser said. One of the major drawbacks of such a system has been the fact that when one person pushes the button to speak, that individual is the only person who can be heard on the network until he or she stops pushing their button, he explained. “In some circumstances, such a drawback merely means that certain jobs are not done or the group is unable to be as effective or efficient as it might be otherwise,” Fraser said. “But in other settings, this limitation can mean the difference between life and death. My goal was to fix this problem.” And with his recently developed technology, he believes he has achieved his goal. In 1997, Fraser developed the first sideline communication system for coaches that is seen at every elite level of competitive football today. Similar systems are also used in auto racing. But the company is most proud of how the technology will be able to help police, public safety and industrial workers, and particularly military soldiers. The system allows each person connected to the system to speak at levels as low as a whisper, even in heavy gunfire or in large crowds. Had members of Navy SEAL Team 6 used the system during their mission to capture Osama bin Laden, they could have been in constant contact and still have been able maintain the element of surprise, explained Todd Rapier, MULTIVOICE president and co-founder. The headsets for the MV900 are made by minority partner OTTO Engineering based in Carpentersville, Illinois. The radio and power packs are also American-made, said chief marketing officer David Politis. Currently, radio systems employed by law enforcement or military can cost about $3,500 per unit, while the first version of the MV900 system costs about $1,500 per unit, Rapier said. Already relatively compact, the company is also working on making upcoming versions of the unit even smaller and lighter while enhancing other key features for enhanced functionality, he added. The “big launch” is scheduled for March, Rapier said. Eventually, the company would like to partner with a mobile service provider, he said. For now, company officials are excited about the prospects of providing technology that will be potentially “game-changing” for so many people in various sectors of industry. “In a professional work environment, we are talking about making it safer, saving lives, making it so people don’t get injured, but also making them more effective and more efficient,” Politis said.